When it comes to the world’s most efficient vacuum cleaner, Pacvac Superpro Battery 700 has the measure on all other vacuum cleaners. Independent testing by the International Sanitary Supply Association (ISSA – “The Official ISSA 540 Cleaning Times”) tested how long it took the different types of vacuum cleaners to clean 1,000 square feet (93 square metres). The results are clear. 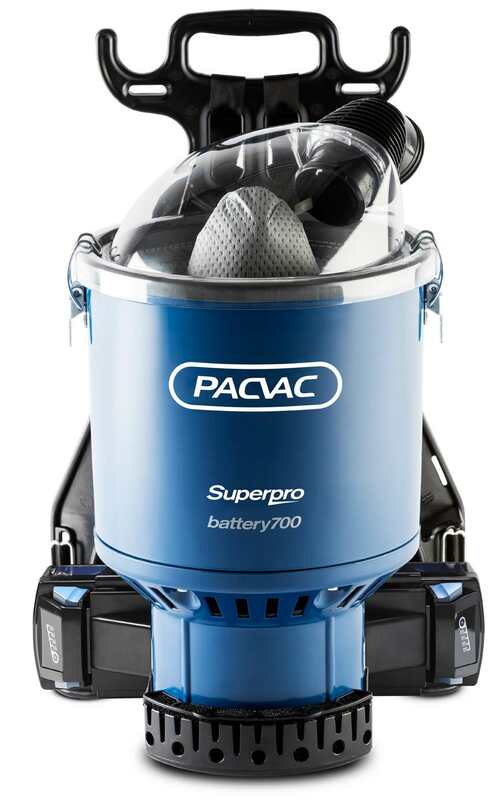 Back pack vacuum cleaners especially the Pacvac Superpro Battery 700 have a much higher efficiency level, saving you time and money. 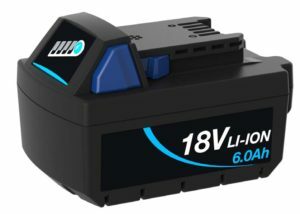 4 batteries – providing up to 45 minutes of run time using 2 batteries (90 minutes in total). Ergonomic frame and harness – a world standard ergonomic “bodymoulded” frame with adjustable harness. Designed for increased comfort and anatomically correct posture. Battery reaches optimum charge in just 1 hour and 45 minutes. Easy to read battery charge level indicator. HyperconeTM HEPA filter – maintains suction as the dust bag fills. Premium motor – ensuring maximum suction power and durability. Clear lid – easier to see when it’s time to empty the dust bag. Offset inlet creates cyclonic effect ensuring maximum suction power. Down load the PDF brochure on the Pacvac Superpro Battery for more details.